Quinto’s VERSA-LIFT 40/60 is more than a fork lift truck, it is a power house with a 27 tonne capacity designed specifically with machinery moving in mind where smooth operation and its compact dimensions ideally suited for manoeuvring factory sites with ease. The Versa-Lift has a hydraulic boom attachment meaning it can be used as a standard fork lift without the boom or it can lift on the boom with or without forks fitted. 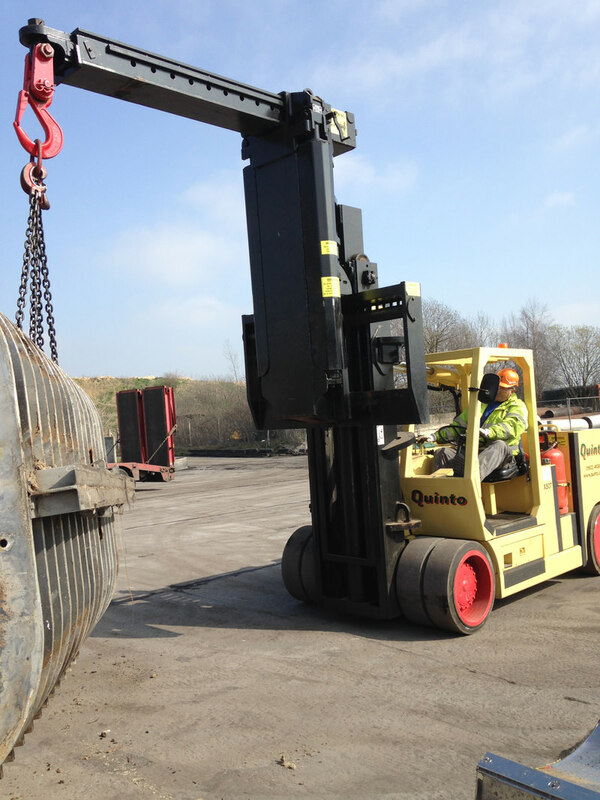 As the forks and boom are independently actuated it is possible to lift a suspended load on the boom and use the forks to steady the load during the move.